Leading high risk teams and managing their operation requires a level of trust that far surpasses that normally found in other organizations. Crews must trust each other, certainly, but those of us left behind on the beach must trust them when making decisions that affect their operations. Valuing the expertise and experience of those who go out is the starting point for all innovation. Synopsis: Leading high risk teams and managing their operation requires a level of trust that far surpasses that normally found in other organizations. Crews must trust each other, certainly, but those of us left behind on the beach must trust them when making decisions that affect their operations. Valuing the expertise and experience of those who go out is the starting point for all innovation. Description: For all the advances in search and rescue technology; with all our innovation in communications, response, and detection; for all our improvements in survival equipment – at the end of the day, someone still has to go out there and get their hands on the survivors to bring them home. 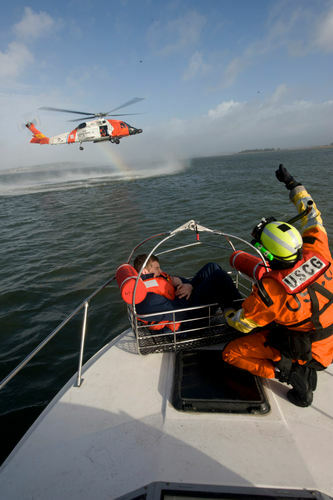 Regardless of the technology that lets you know someone is in trouble and where they might be – those two requirements have been the only two ever necessary to spur rescuers to action and compel them into harm’s way. If someone is in trouble, and you have any idea where they might be – you go. That doesn’t just make rescue teams noble – it makes them fundamentally different than most. Citing specific examples of things gone right and wrong in the leadership of high risk operations, Mario Vittone will explore the lessons learned by the U.S. Navy, the U.S. Coast Guard, and NASA that should remain in the collective wisdom of us all.